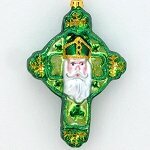 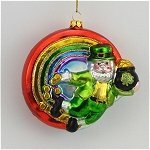 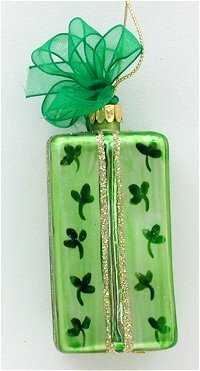 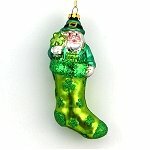 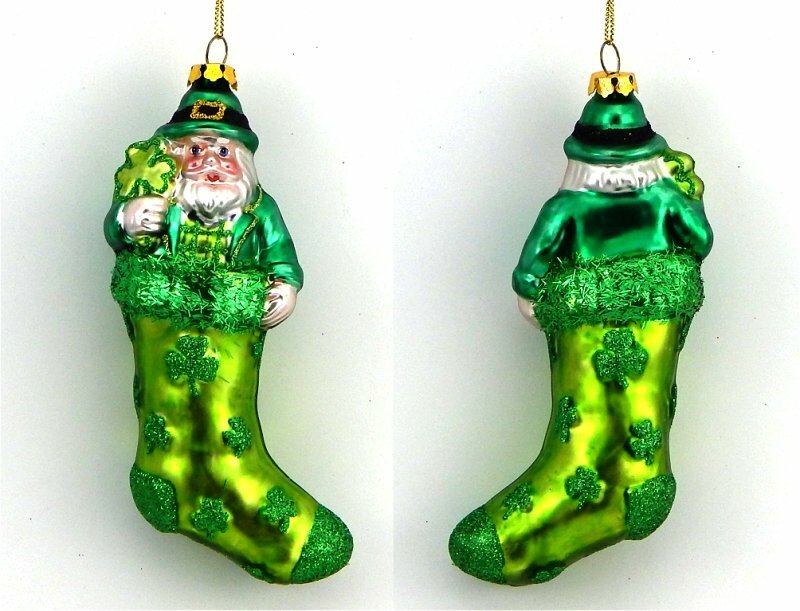 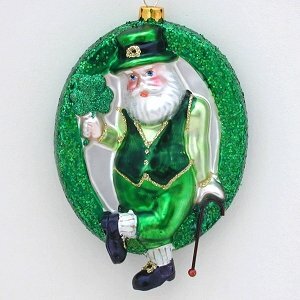 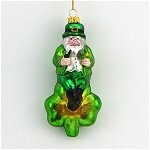 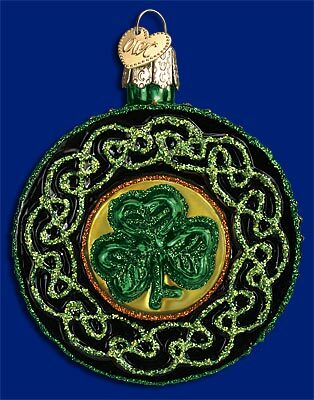 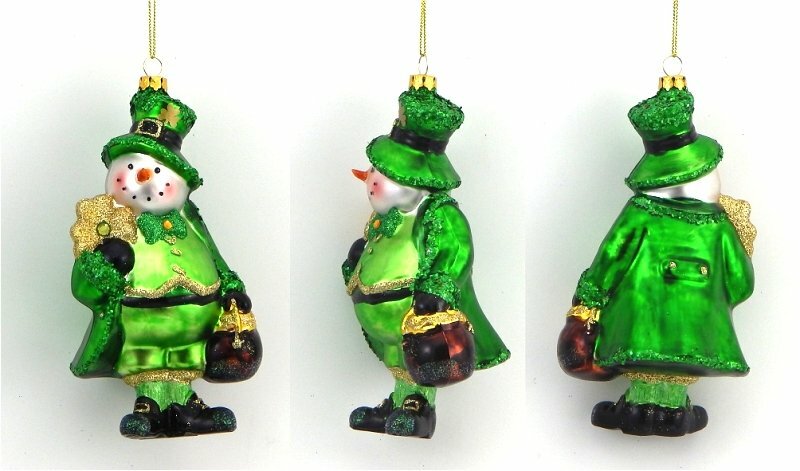 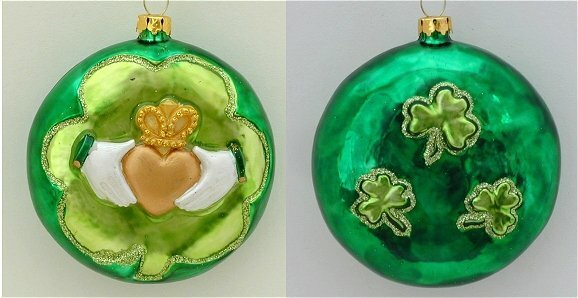 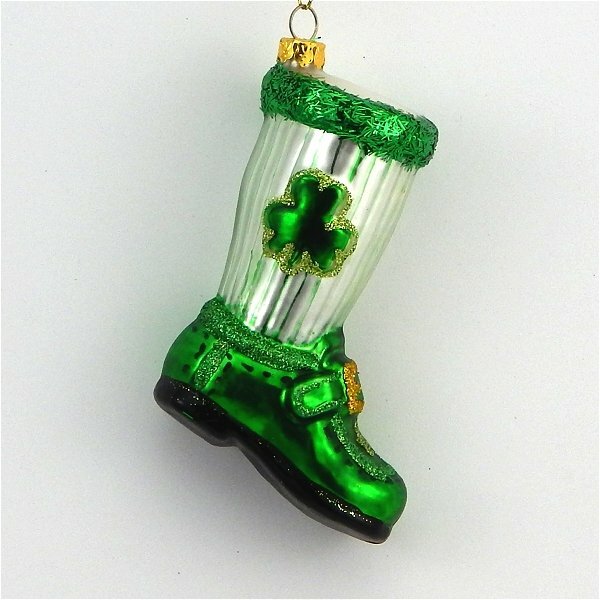 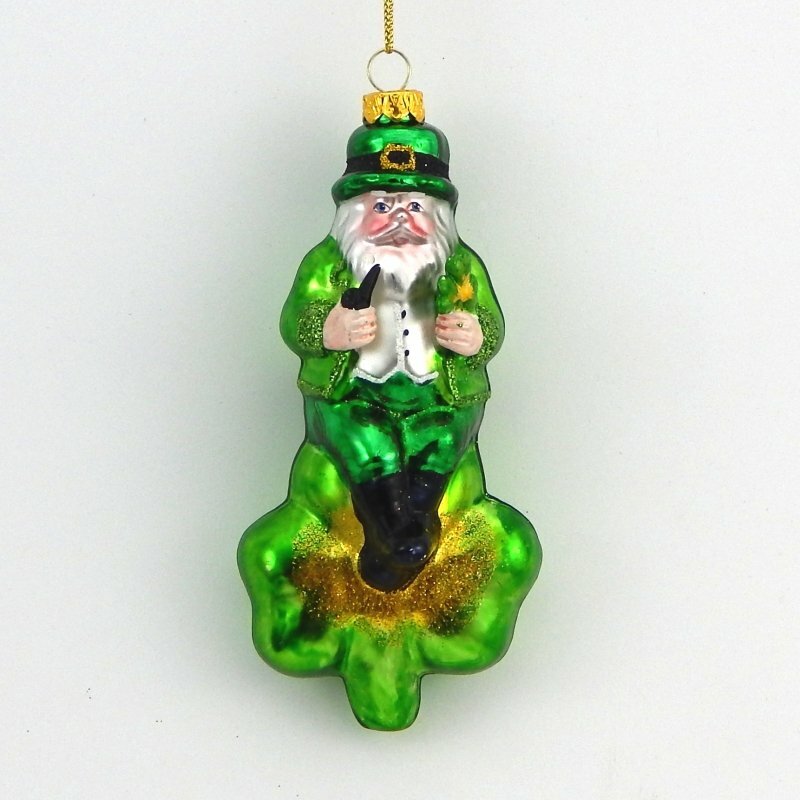 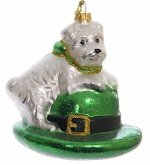 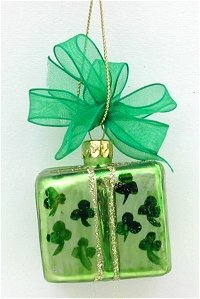 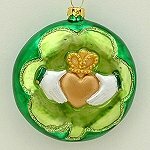 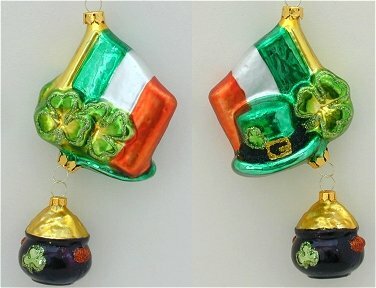 A few of the symbols of Ireland are combined on this ornament. When I first saw this I read the design as a Santa in front of a lucky horseshoe but looking again I saw it is a complete oval. 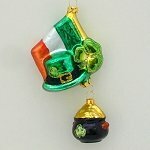 No one is getting this hat till its owner comes back ! 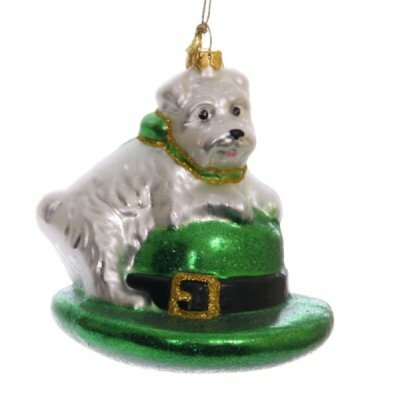 Very cute dog stands watch. 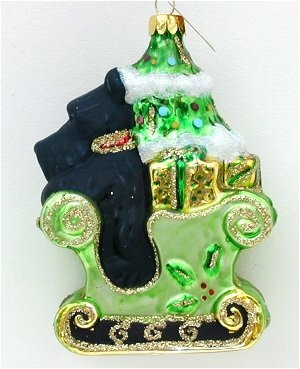 One happy jet black Scotty dog in the front of his sleigh. 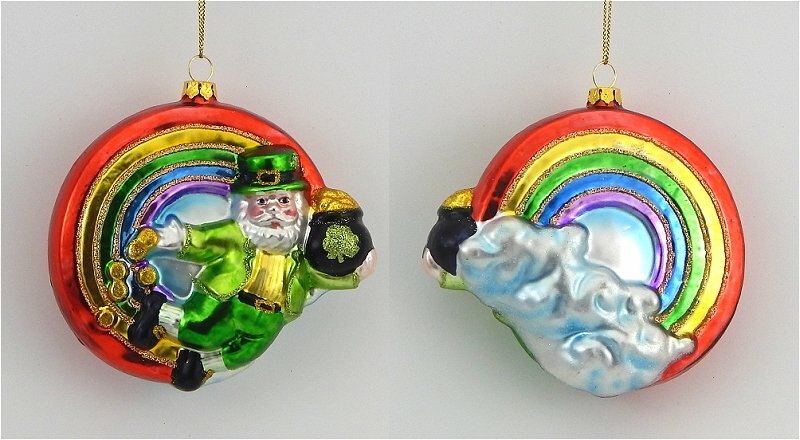 Santa is giving out more than presents this year if the pot of gold he's holding is anything to go by. A nice design of intertwining celtic knots around a green shamrock. 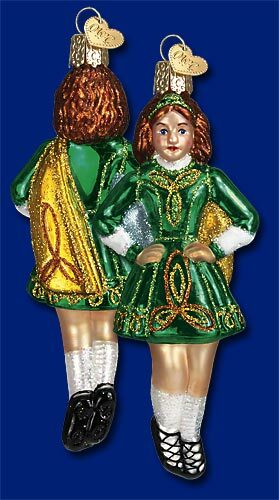 I wasn't sure that the word jigging was a real word but my online dictionary assures me I am accurate. 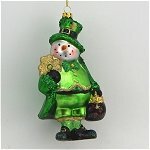 Our Irish Snowman is jigging indeed. 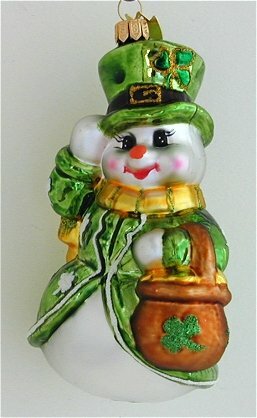 An Irish snowman holding a shamrock. 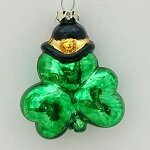 The bright scarf really sets off the greens of this piece. 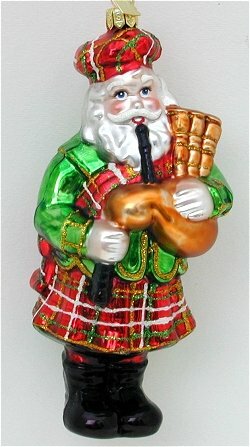 Our Irish Santa is jigging indeed.